Another catfish delight courtesy of Chef Lucia Watson, this recipe is perfect thanks to the cat clan's firm, tasty flesh. It also works with burbot, walleyes, bass, pike and perch. Blend the sesame oil and soy sauce and set aside. Heat the vegetable oil in a nonstick skillet until very hot. Add the fish, peppers, carrots, ginger, garlic and scallions. Cook 3 to 5 minutes, stirring gently. Pour the sesame-soy mixture over and cook one more minute. Turn off heat and gently stir in cilantro. 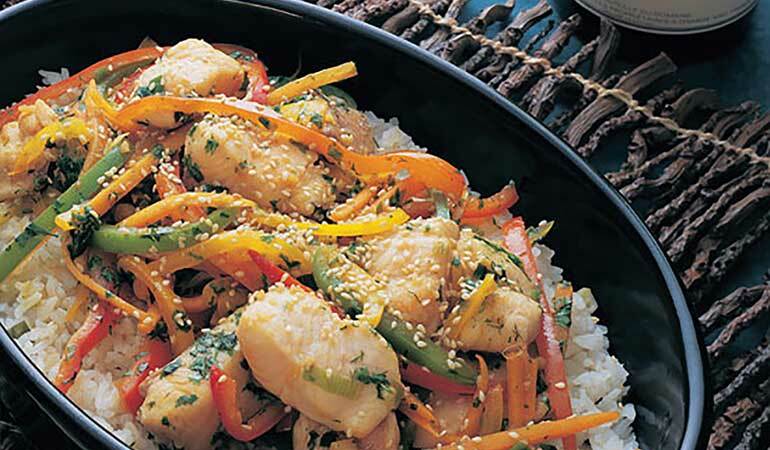 Serve with rice and sprinkle with sesame seeds.